Many thanks to Dennis Minsky who wrote me with questions about the process by which a bird identified as one species by the volunteer mysteriously changes to a different species in the database. Dennis even suggested it might be a worthy blog post, and I concur. So here it is, the secret sauce. When you folks submit a walk report, dead birds or no, I look it over. The only things I really look at in terms of the environmental data you report is to see if the time seems correct (did you really walk at 3am, or did you just slip when entering am/pm?) and check if there are any notes you left me about your walk. I am not always confident in my i.d., especially with the carcasses in really rough shape. Anyone who reads this blog knows that, since my uncertainties are usually paraded in front of you as Dead Bird Quizzes. 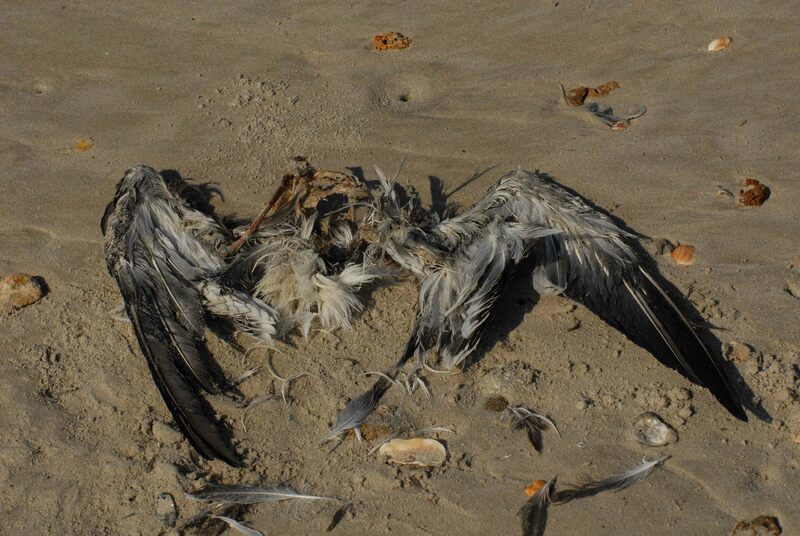 But not every beached bird photo makes it to a DBQ. 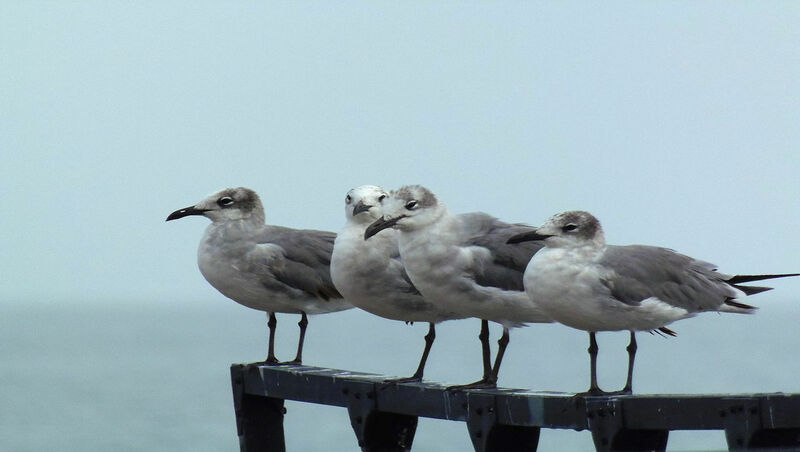 In many cases, you submit your beached bird report and photos, and then you check again in a day, a week, or, more likely, a few months, and that report has been checked off as verified, your bird i.d. confirmed. In some cases, you may go into an old report and find that your i.d. has been changed and no one told you. When that happens, it’s because I have gone in and reviewed the report, any measurements, and the photos, and come to a different conclusion than you did. I realize this is a somewhat opaque process since there is nothing to alert you that this has happened. At the prompting of Dennis’ email, I have been thinking of how better to communicate with you about these cases. These revisions come frequently enough that individual emails are not possible, but what I can do is to use that “Notes about carcass” field to let you know how I came to a different conclusion than you did. Sometimes it will be a particular field mark or coloration pattern, sometimes a skeletal clue, sometimes it’s the measurements. I can appreciate that it will help you be a better birder of dead birds if I provide some explanation of that thought process. I will start giving that a try on my next round of verifications, which is already overdue. The beached bird reports wait for no man, nor for any college professor in the throes of mid-semester stress. My gratitude for your patience, Seanetters! It’s fitting that both these DBQ birds come from the Carolinas; our volunteers and friends in both states have been much on my mind given the horrendous flooding in that region, and I know some of our walkers live and work right in the heart of the most heavily impacted areas. I hope everyone in the SEANET clan is safe and sound, and if it’s not TOO much to hope, that your houses remain high and dry. You’re in our thoughts all the time, southern friends. I suppose it may seem strange that I chose this bird, since everyone seemed certain of its identity. Maybe it was just me, but the gray on the upperwings of this bird seemed really pale, no? What did you all make of that? Just a trick of the light? A really pale individual? Have you seen them this light before? I ask my southern contingent especially since, while we do have LAGU up here in the great white north, I don’t see them all that often in winter in plumage like this. This is actually sort of not helpful, since much of the underwing has been eaten away, most likely by notorious ghost crabs. So it’s impossible to tell whether the feathers that used to be on the underwing close to the body were mottled or clear white, so I turned again to the upperside of the wing. There, I can see what looks to me like a few rusty feathers among gray feathers. Since Black Skimmer juveniles are more black and white on the upperwing, that rusty/gray contrast jumped out at me. I am fairly persuaded, then, that Bird B too is a LAGU. Two LAGU in one DBQ? Unprecedented. Daring. Accurate? I hope. But I await verbal combat from those who may disagree.